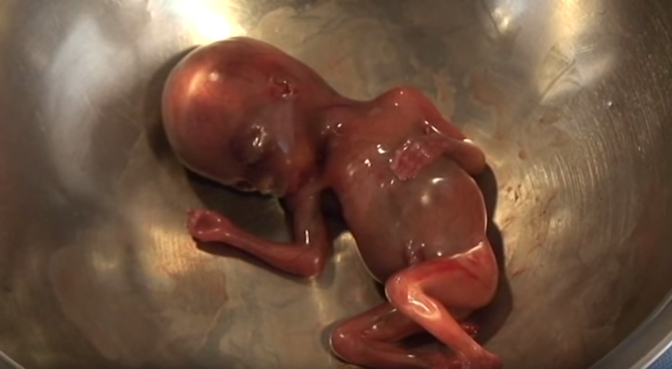 Watch a fully formed fetus on the table, its heart beating, its legs kicking, while someone says, “We have to keep it alive to harvest its brain.” This is about the character of our nation, and if we will not stand up and force President Obama to veto this [Planned Parenthood defunding] bill, shame on us. The abortion lobby immediately leapt into action, calling her a liar, along with various media outlets that tried to discredit her. Planned Parenthood Vice President Dawn Laguens wrote a furious letter to Fiorina, claiming that the footage does not exist. Unfortunately for Planned Parenthood and its supporters, the footage does exist — and the full video has just been released. The footage Fiorina spoke of was filmed by the Center for Bio-Ethical Reform, which was given to the Center for Medical Progress, and shows an intact delivery abortion – not a miscarriage as claimed by abortion supporters. It was filmed at an abortion clinic. A few seconds of the footage could originally be seen in this Center for Medical Progress video, in which former StemExpress technician Holly O’Donnell speaks about how she and a colleague procured the brain of an aborted child whose heart was still beating – at Planned Parenthood Mar Monte (The Alameda) in California. As O’Donnell speaks about harvesting the child’s brain, CBR’s footage of a born alive, aborted baby is shown (5:58-6:25). While only a few seconds of this video were featured in the Center for Medical Progress video, the full footage has now been released by the Center for Bio-Ethical Reform. CBR and the Center for Medical Progress (CMP), in whose undercover Planned Parenthood investigative video the CBR abortion footage appears, have been falsely accused of misrepresenting a miscarriage as an abortion. The first segment of the unedited video depicts the abortion itself, with the baby delivered alive and struggling in the abortionist’s gloved hand. Segments 2 and 3 depict the baby still moving in a stainless steel pan after repeatedly being handled abusively by the abortionist. Segments 4 and 5 are static gynecological shots of the baby’s mother. This unedited footage shows that Carly Fiorina was not lying. Babies are being born alive after abortions and left to die, in violation of state and federal laws. 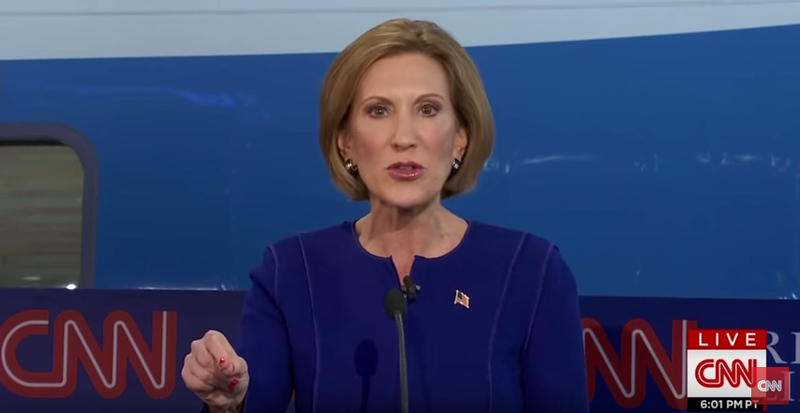 There is no defending what can be seen on this video, and it proves Carly Fiorina right. She was not exaggerating or lying, and she was correct in saying that if we allow the taxpayer funding of Planned Parenthood to continue, then the character of this nation is severely lacking, and we have failed in one of our most basic duties: to protect the right to life.